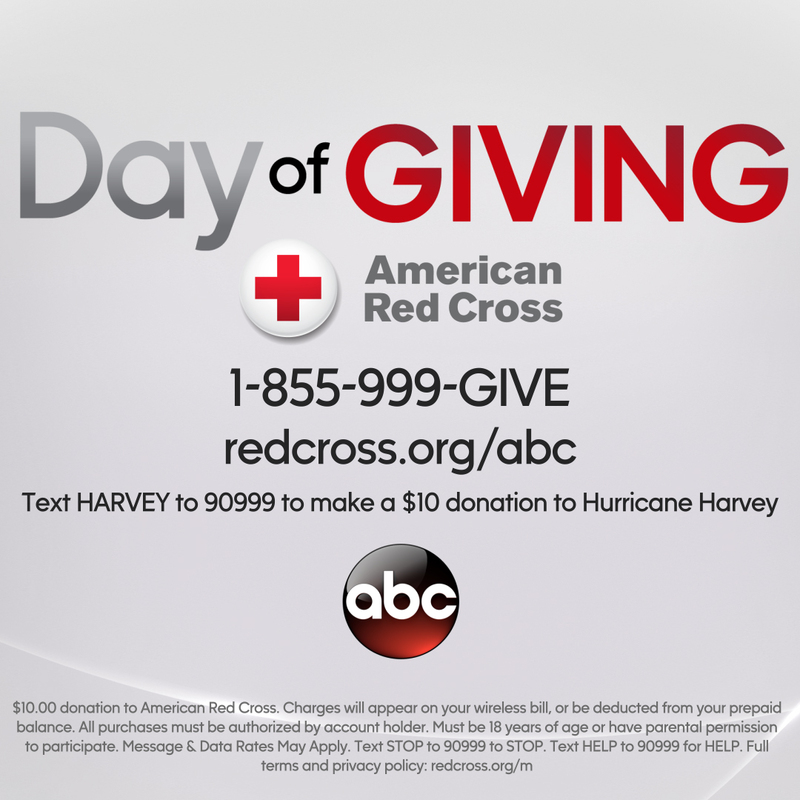 Thursday, August 31, Disney|ABC Television Group (DATG) is hosting a "Day of Giving" to benefit those impacted by Hurricane Harvey. Starting in the morning with ABC local affiliates and Good Morning America, and throughout the day on ABC, Freeform, Radio Disney and across all DATG social platforms, there will be a call-to-action to donate to the American Red Cross, with those dollars going to benefit those most impacted. You can support the effort right here, right now. Call, text or simply click the link below. The Walt Disney Company and its owned ABC television station KTRK in Houston jointly announced a $1 million cash commitment to the American Red Cross in support of recovery efforts for communities affected by Hurricane Harvey. "Our hearts go out to everyone in the devastating path of this historic storm," said Robert A. Iger, chairman and chief executive officer, The Walt Disney Company. "It's hard to fully appreciate the impact, in part because it isn't over yet. But we know thousands of people have lost everything and now face the daunting challenge of putting their lives and communities back together, and we're using our unique resources and reach to help those in need."